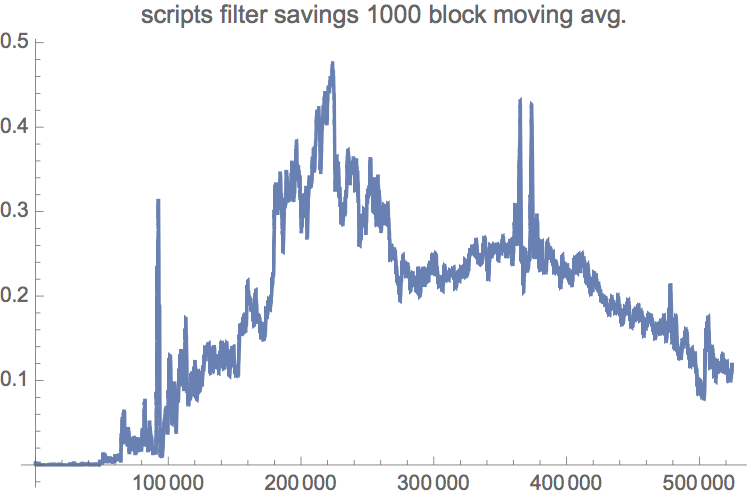 I processed bitcoin history assuming filters using with P=19 M=784931. - Output script + spent script filters (Wuille’s (b)) have sizes of ca. 0.2% of block size. - Output script + spent script filters (Wuille’s (b)) are ca. 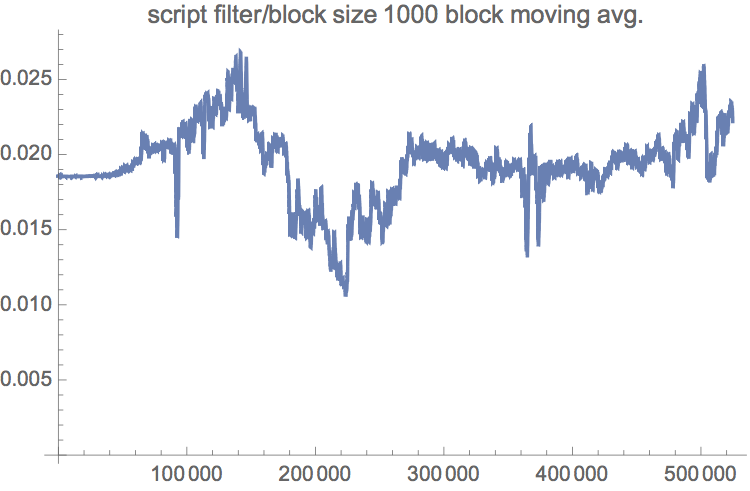 10% smaller than output script + spent outpoint filters (Wuille's (a)). Savings here however trend lower since years.